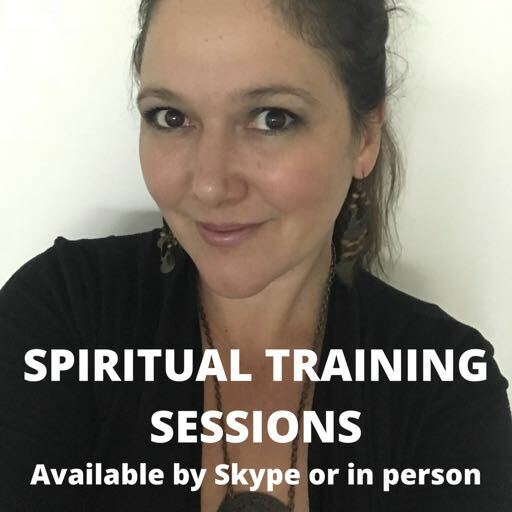 ​Private Spiritual Training / Mentoring is available by 1:1 live video conference on Skype or in person in Melbourne. Skype is highly recommended as you can learn and develop from the comfort & convinience of your own home. It is a great way to ask questions & take notes if needed in a safe, trusted and supportive 1:1 setting. Spiriutal topics will be explained to you in order for you to gain understanding, &/or you might learn helpful tools & techniques). ​You will find Natalia to be extremely friendly, compassionate, ethical, knowledgeable & professional. She will be training & mentoring you from an intuitive (psychic) level, holding the energetic space for you to learn & grow . She will intuit what is right for you, which gives your individual session an extra personal, profound edge. Sessions are for ALL LEVELS (from basic to advanced, from lay people to professional practitioners). It is okay if you are not sure what you need - Natalia will help you. ​You will need to fill in a Questionnaire before Natalia accepts you as a training client. How to work out personal forecasting: your personal year, the 9 year cycle & personal months. More Topics will be added over time. It can be difficult to determine if one session is enough or whether more are needed - it totally depends on what you are wanting to learn, your skill level, & what your own intention / commitment level is. Some clients only need one session to have some questions answered / techniques shared & be sent on their way. Others take one session at a time, practice advice & recommendations & then book another one when they feel ready. Others prefer more ongoing development / advancement & book on a more regular basis. One fantastic way to really encompass spiritual healing & growth is to take a 2hr session package which includes both a psychic reading &/or energy session, as well as Spiritual Training in one sitting. This is super rewarding, personal, deep & involved. There is also a new 3 hr package which can be spread over 2-3 appointments. Remember, you must fill out the Client Questionnaire before purchasing a session. ​​ Enquiries via the Contact Page. Do you wish to learn more about certain spiritual topics? You can have direct 1:1 training, consultation & mentoring via Skype (1 hour sessions). ​Natalia instructs ALL LEVELS, from beginner to advanced and has loads of information & experience to share. She will intuitively educate and guide you with whatever you need on this part of your journey. 1) Click here to view examples of spiritual development topics, tools & techniques that can be covered in training. ​2) Fill out the online Client Questionnaire in order to provide Natalia with information such as what you want to learn. 3) View the Opening Hours (to check whether the time ranges suit your own time zone / schedule, & to make sure that Natalia is available). 4) Read Terms & Conditions. Do not purchase a session until Natalia has emailed you back (after you submit the Questionnaire) to approve your request. After you purchase a session she will email you backas promptly as possible (keeping in mind time differences), with the specific times she has available over a two week period (approx). You will be asked to choose your top three time preferences and then your allocated appointment time will be confirmed back to you. NOTE: SPIRITUAL TRAINING IS AVAILABLE FOR ALL LEVELS, FROM BEGINNERS TO ADVANCED!! This is full 2 hour session is for those of you who want to incorporate a reading &/or energy work with spiritual training. You will receive a psychic reading / energy healing / release as well as spiritual instruction &/ or mentoring for whatever topics you would like, according to Natalia's list of available spiritual development topics, tools, techniques & skils - click here to view examples that can be covered in training. Questions, enquiries & requests welcome. ​Please note that depending on your level and what topics/skills you are wanting to learn, you might need to have further sessions. You can learn at your own pace & book further sessions whenever you like. 1) View the link to training topics. ​2) You cannot purchase any training sessions until Natalia has approved your application. You must first fill out the Client Questionnaire in order to tick what you are interested in learning & so that Natalia can assess whether she can assist & that you are a suitable client. Do not purchase until you are approved. The whole process is explained on the Questionnaire Page. Thank you. 3) Click here to view the opening times (to check whether the time ranges suit your own time zone / schedule, & to make sure that Natalia is available). Once you have Natalia's go ahead, you can complete your purchase here (or choose whichever session option you would ilke). After your online order she will email you as promptly as possible (keeping in mind time differences) to make an appointment. You will be asked to choose your top three time preferences & your allocated appointment time will be confirmed back to you. You will receive 3 hours (not all at once, as that is too long for one session. It will be spread over 2-3 different appointments. Your first session will be anywhere from 1-2 hrs, however it naturally falls, and you can then have 1 or 2 more sessions (of 1-2 hrs length) to make up your 3 hrs. We will decide this towards the end of your first session, when it will be more clear what is best). You are asked to put aside 2 hrs for your first session, just incase it goes on that long; and you must complete your 3 hrs within 3 weeks maximum. This package can be any combination of the following services: psychic reading, energy work & spiritual training, depending on your individual needs. You can choose for it to be all traning sessions, though sometimes the intuitive reading/energy work comes up as needed or goes hand in hand. Ideally, unless you are focusing more on training only, we start with psychic reading/energy work, and then move into the training & mentoring, as that seems to be the most natural order and flow. Each case is different. Natalia can intuit what is needed during your sessions, or you can speak to her. 1) Firstly, please view the link to Spiritual Training topics to see what can be covered in training. ​2) Secondly, to determine your needs, ability level etc, you must fill out the Client Questionnaireso that Natalia can assess whether she can assist with your request & that you are a suitable client. Do not purchase any training sessions until Natalia has approved your application. The whole process is explained on the Questionnaire Page. Thank you. Give someone the gift of personal spiritual training. ​The topics above are just a general guideline. The recipient will need to correspond with Natalia prior to the session to discuss individual needs. Gift Certificate purchasers are welcome to contact Natalia prior to purchasing with any enquiries / requests. Please ensure you read the Terms & Conditions. 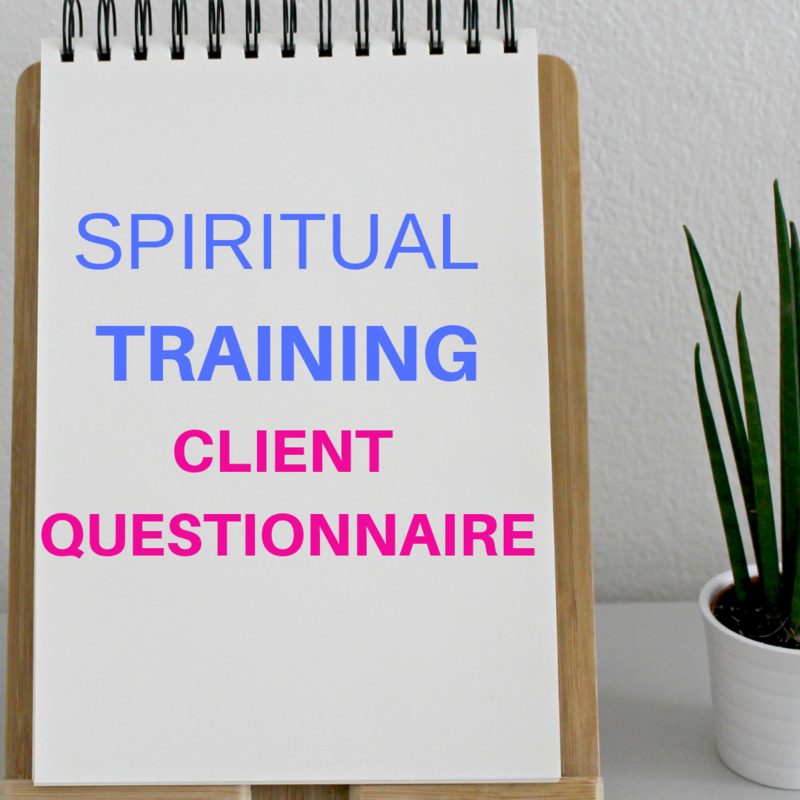 spiritual training (if you want training, you'll need to fill in a questionnaire before Natalia accepts you as a client). ​​​Perhaps you are a parent needing some assistance & support and / or have a child / teen going through personal issues (life issues of any kind). Or, your child might be having spiritual, paranormal, psychic, mediumistic or energy sensitive / empathic experiences and you are seeking help for them to cope, deal with and / or develop their natural gifts, and have things explained in an easy, safe, trustworthy manner. ​Homework sheets or handouts can also be given where applicable. Natalia is a compassionate, highly empathic energy sensitive psychic medium & healer with much understanding & experience about energy sensitivity & spiritual / paranormal phenomenon. She is also a dedicated mother of two and a qualified English Teacher who has worked with children for many years. ​She will intuitively guide, mentor, counsel & empower your child and/or the parent to help understand what is happening, provide comfort, advice and information, and where applicable teach tools, techniques & processes for how to cope with these gifts, situations or experiences. Sessions can be tailor made to your needs & can be once off or continuous. Before purchasing, you must click here to view the opening hours (to check whether the time ranges suit your own time zone / schedule, & to make sure that Natalia is currently available). After you place your order, Natalia will email you as promptly as possible (keeping in mind time differences), with the specific times she has available over a two week period (approx.). You will be asked to choose three top preferences and then your allocated appointment time will be confirmed back to you. Please use your parental discernment with the suitability of the age of your child & ensure you read the Terms & Conditions.